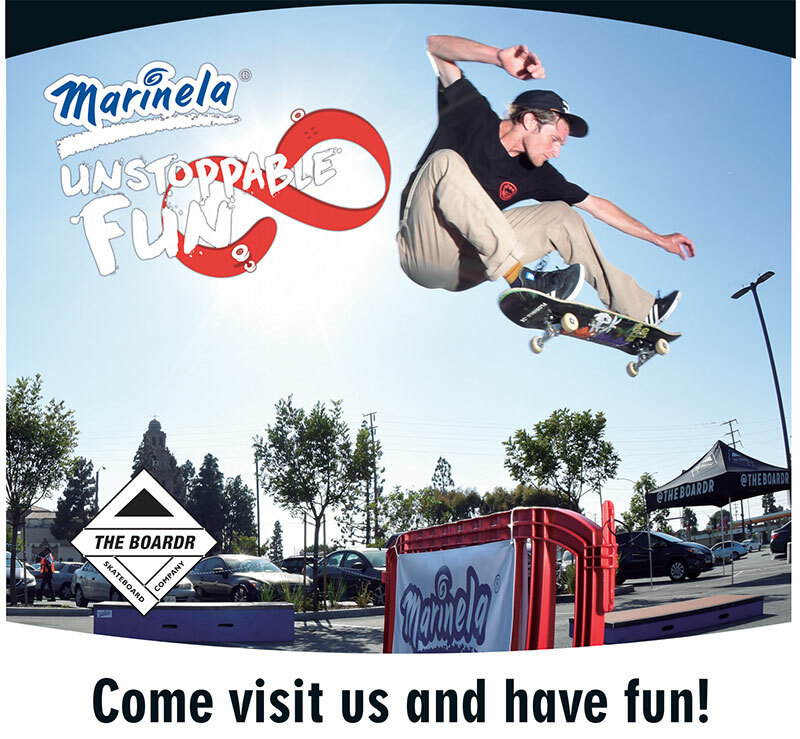 At select locations, we're setting up our mobile street course in the parking lot to demo some skateboarding and sample some Marinela snacks and other products. You're welcome to come roll with us. Follow @TheBoardr and @GansitoMarinelaUSA for more. We're so #DownWithMarinela. Tag your photos so we can check them out. We had a good time setting up at stores on the west coast last year. This year, we're doing them all around the country.